Time for some Punk-Rock! 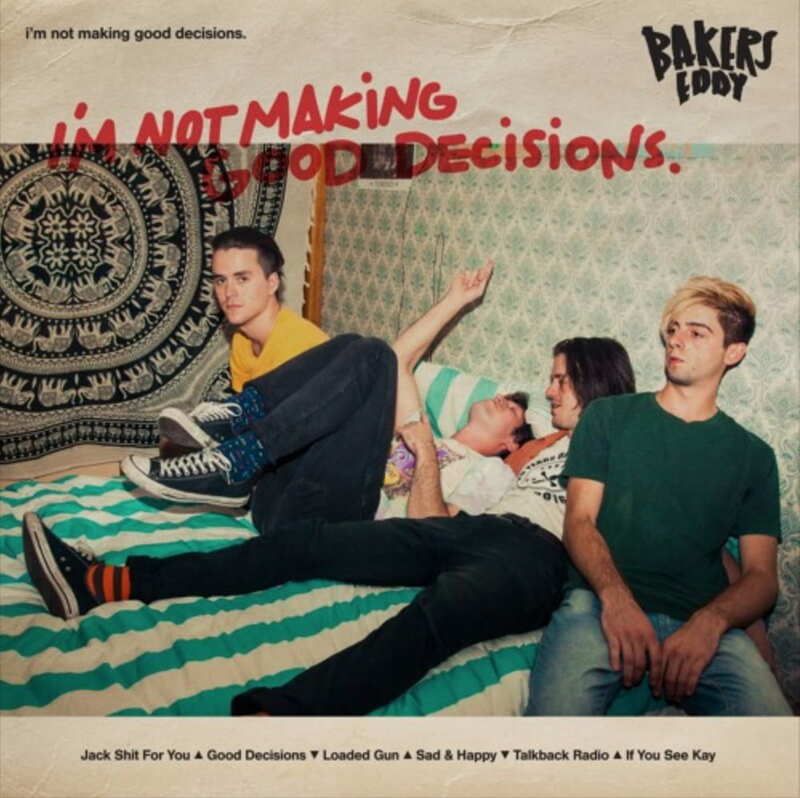 Fast-rising New Zealand bred, Melbourne-based punk rockers Bakers Eddy have just dropped their new single Good Decisions, which will be on sale in the UK from June 1st. is about spending all your money on partying so you can’t pay the bills. Making silly decisions! We were all living together for the first time, in a new country and probably having too much fun. I'm loving the energy of the song and who doesn't relate to this message? Stream it below! there is a fully working spa bath in the middle of our hallway, you can see Jamie sleeping in it in the video. the execution was always going to have the footage destroyed. The idea was to make it raw and low budget using effects, but rather than just pop a filter on it with a VHS effect, we used pixel bending and channel blending to add an intensity to the final edit. Bakers Eddy have been making a name for themselves in New Zealand and Australian punk scene playing with Australian #1 hitters Gang Of Youths, award-winning The Rubens and Grammy-nominated USA hottest band Highly Suspect. Having established themselves as one of the most in-demand and exciting young punk-rock bands, the group are part of a new wave of acts who have been enlivening the local punk scene. With growing support across international key tastemakers including Amazing Radio and key Australian online outlets such as Pilerats and Tone Deaf, the band are set to make an impact when they hit British shores. Already having notched up memorable performances at Kiwi music's biggest parties Homegrown, Rock The Park and Going Global Music Summit, they are now ready to take their ferocious attitude and lyrical honesty to play their debut Great Escape show on May 18th at The Black Lion, before heading to Germany.